I really like the Safari Toobs that you can buy from toy shops and Amazon. They are well made and usually a good price. We use them in small world or messy/ sensory play. 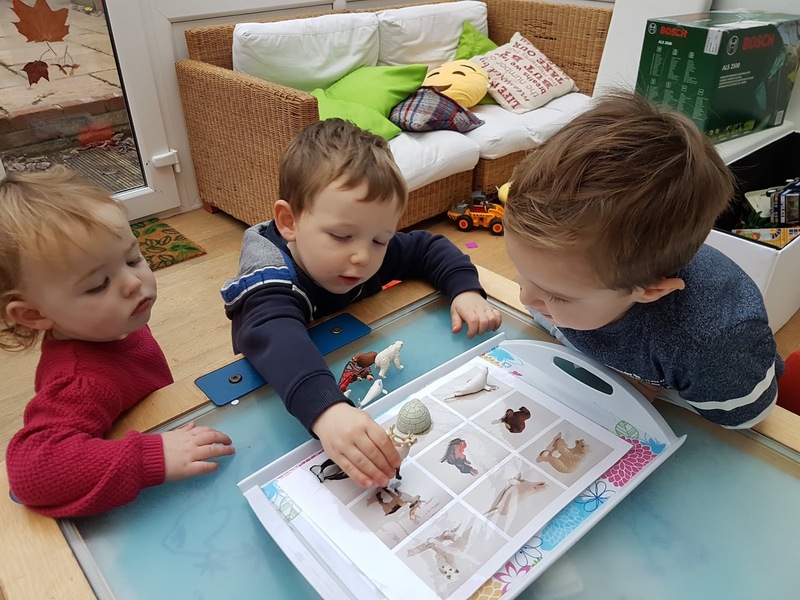 They can often be used to link with a topic or theme and are perfect size for small hands. 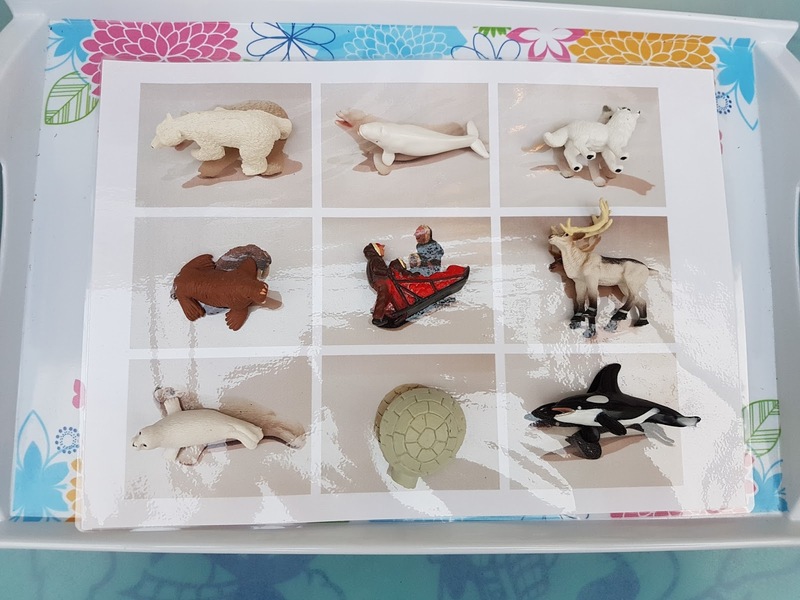 I wanted to teach the children the names of the creature and and people that lived in the Arctic so I took pictures of each of the items and then printed them out on to an A4 sheet.. I then laminated the sheet to protect it and added it to a try with the items. This makes a perfect matching game for the children. As they match one, we say its name. Helping to make the link between the item and its name. We have also used this tray while watching a nature film about the Arctic. Each time we see a new animal on the screen we look on our tray to see if we have one too! WHAT CAN WE DO WITH THIS PIECE OF ICE? 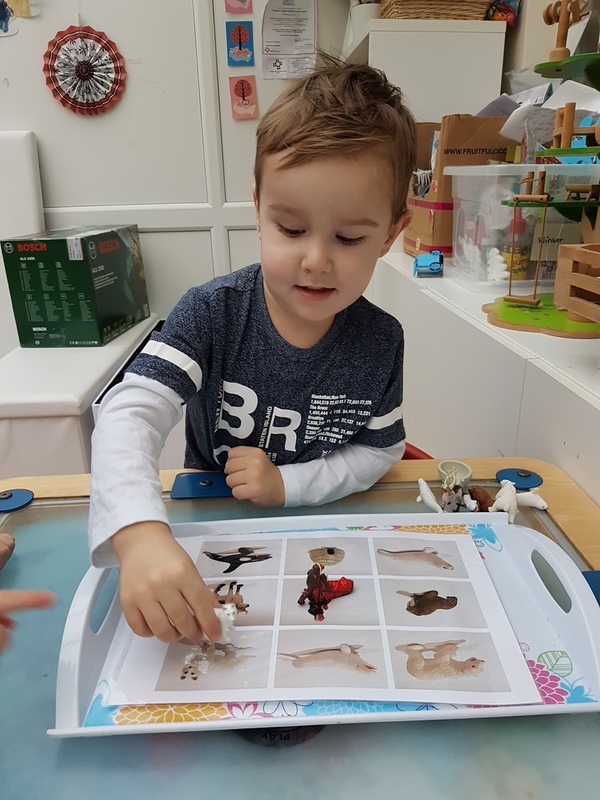 MONTESSORI TRAY ACTIVITY – LETTER RECOGNITION.